Winter is only a couple of months away – its great in the UK at the moment, but what about when the rain and the ice comes back, when searching First Choice database today (04/08/2018) 123 holiday and Travel-UK found the following great deals for under £200 for a week all inclusive – although the holidays below are to Tunisia there are still other great offers available on the website. Mexico from £638 – departs 8th November 2018 from Manchester to PLAYACAR, MEXICO – CARIBBEAN COAST, MEXICO based on 2 sharing at the Riu Lupita for 7 nights. Thailand from £933 – departs 8th November 2018 from Manchester to BANG TAO, PHUKET, THAILAND based on 2 sharing at the Arinara Bangtao Beach Resort for 7 nights. 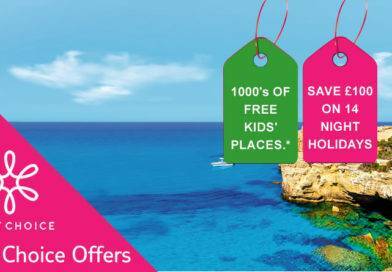 Canaries from £292 – departs 12th December 2018 from London Gatwick to COSTA CALETA, FUERTEVENTURA, SPAIN based on 2 sharing at the Caleta Dorada Apartments for 7 nights. Morocco from £273 – departs 4th December 2018 from London Gatwick to MARRAKECH, MOROCCO based on 2 sharing at the Hotel Riu Tikida Garden for 7 nights. Cape Verde from £551 – departs 18th November 2018 from London Gatwick to SAL, CAPE VERDE based on 2 sharing at the Sol Dunas Resort for 7 nights. Greece from £382 – departs 11th October 2018 from London Stansted to RETHYMNON, RETHYMNON AREA, GREECE based on 2 sharing at the Hotel Orion for 7 nights. 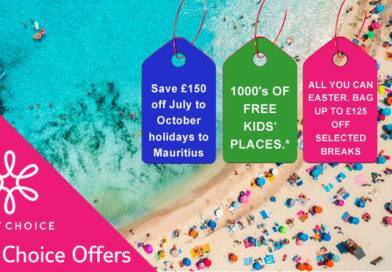 Free Kids’ Places – Free kids offer applies to new bookings only, on selected summer 2018 and 2019 holidays, subject to limited availability. 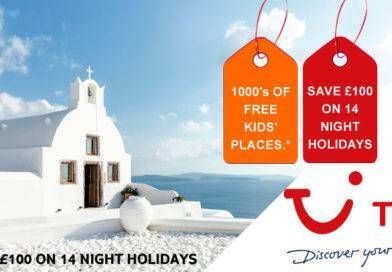 Only 1 free kids’ place is available in each selected hotel room or selected apartment type or villa, with 2 full paying adults. Other children must pay the full brochure price. Available on First Choice holidays only. 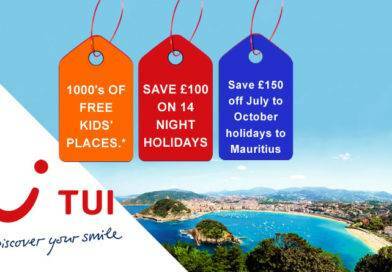 Free child places cannot be combined with online discount.